Today it’s all too easy to settle for a style and set of priorities that perfectly matches all those around you but for homeowners interested in truly making their home their own, a unique, personalized landscape design in Saugus, MA is a must-have. For the ultimate in representing your individual personality and character from curbside to front door, professionally fashioned Saugus landscape design services are unquestionably the best solution on the market today and to have your Saugus landscape design provided quickly and professionally by specialists who have a proven record of lasting customer satisfaction there’s no one better to call than our team of landscape design Saugus, MA specialists here at Chop Chop Tree. 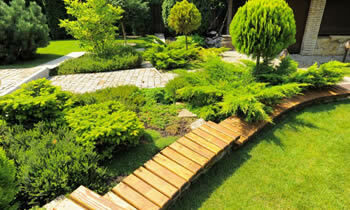 Why Choose Chop Chop Tree for Landscape Design in Saugus, MA? The local Chop Chop Tree team of landscape designers in Saugus, MA consists of some of the most specialized arborists and landscaping contractors Saugus, MA has to offer meaning that just about any requested service, installation, or redesign can be completed with the professionalism, efficiency, and dependability that you can count on to lead to years of enjoyment and appreciation for your home’s landscaping in Saugus, MA. Our professionals have all the training, equipment, and design capability to ensure that whether you’re having shrubs and trees added to your home’s lawn or much grander additions like water features, garden walkways, or secluded nature retreats right on your own property, Chop Chop Tree has the skill, dedication, and expertise to make your landscape design in Saugus, MA something special that you’ll love coming home to. If you’re interested in giving your home a brand new look and quality with professional landscape design in Saugus, MA or simply want to learn more about what the Chop Chop Tree team of Saugus landscape designers can do to make your property the envy of the entire neighborhood it’s never been easier. Simply contact our friendly and knowledgeable Saugus landscape designers here at Chop Chop Tree at (781) 315-4559 to learn more about popular conventions in landscape design in Saugus, MA and to schedule your free at-home design consultation, assessment, and estimate.